The Market is Back On A See-Saw Just swinging! Looking at the market widow it looks like a see-saw. The USD recoils, following dovish comments on the prospects of the upcoming Fed rate hike. The US Dollar Index (DXY), does not show clear evidence of this dovish nosedive. Oscillating between 96.04 – 96.34. Albeit capricious ahead of today’s economic events in which investors will be focusing on the US Building Permits Reports gauging the strength of the economy. Amid OPEC’s meeting, UK’s Inflation Report Hearing and Gov. Mark Carney’s speech which are all due on the docket. The outlook for global shares remains grime, as Asian shares take a beating. Ensued by US-China trade tensions. The Tech industry which many market participants hoped would resuscitate the market failed, as they come to terms with new changes related to Privacy Protection, while fulfilling any pending or otherwise legally binding clauses for action or omission. 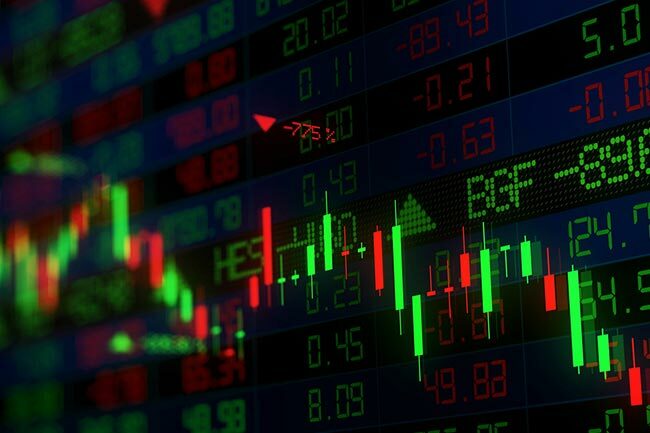 Asian Shares were further bruised by Nissan’s head Goshan allegations of fraudulent activities sending Nissan Group stock prices plummeting and threatening global carnage. UK100: Inevitably, succumbed to its open Brexit wounds and ailing market conditions, dropping below the 7k handle to trade between 6,995.54 resistance levels to 6,953.15 support levels. DXY has been gain momentum since Tuesday EU morning perhaps triggered by the expectation of a positive outcome from the economic events of the day. GBP/USD: In perhaps in small way spread-betters attempted to take some profits playing on the faux weakness of the USD. The pair were seen indecisive jumping in &out of losses in a range below the 1.29 level (1.2881- 1.2823), ahead of BOE Governor Mr. Carneys speech. Oil: Yesterday’s prognosis still seems applicable today. In the face of the politics surrounding the US drilling and OPEC & co efforts to curb prices. Russia refused to comply with cutting production to satisfy the whims of the US per se. Market participants will be itching to learn of what took place at the OPEC Meeting today to assess the direction of the trends, Upside movement is capped by the time of print WTI oil was up 0.38% at 56.98 the next resistance level was established around 57.90 after which reversals are expected to send price down perhaps back to 56.50 Post The API weekly US stockpiles report. XAU/USD: While investors are forced to seek cover they will turn to the precious metal for a shield as a safe haven. However abrupt spikes or troughs should not be a surprise. Ranging between 1,221.21 – 1,226.06. Most of all other tokens remain downtrodden.